We respect John Ruskin in most things. We really do. But when he calls Lawrence Alma Tadema "the worst painter of the nineteenth century" we must strongly disagree. Lawrence Alma Tadema was certainly one of the most successful painters in the nineteenth centuries. His works were popular with the public and critics (except for Ruskin) alike. He sold well. And it`s not hard to see why. The paintings combine exactitude with an air of sensuous languor. Lot 328 in this Saturday`s sale (April 23) is "Music Hath Charm". It measures 35cm x 53cm. 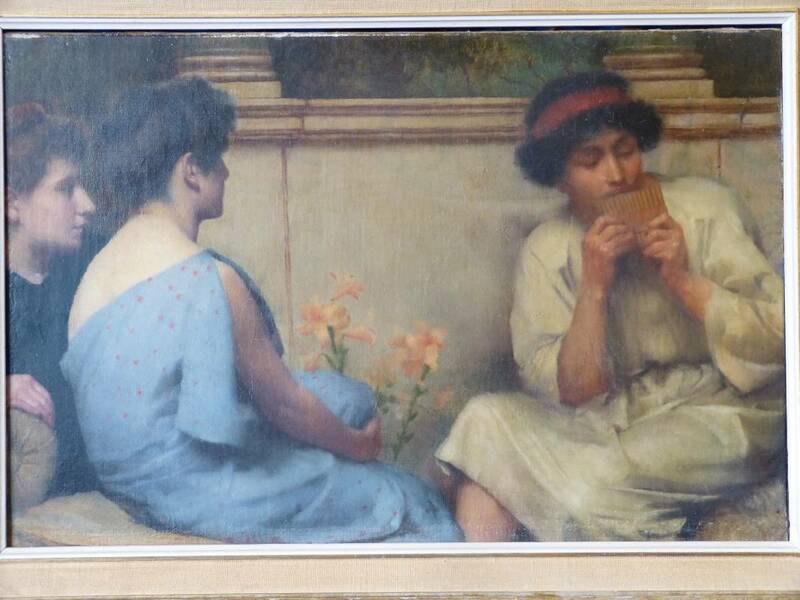 It is indistinctly signed to top centre and labelled "Alma Tadema" on the reverse. The auction preview sessions are Thursday, April 21 from 5-9PM and Friday, April 22 from 9-5. You should come by and have a look.